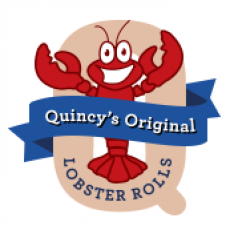 Welcome to Quincy's, a place where you can take a few minutes out of your day to relax, see a friendly face, and enjoy delicious lobster rolls all while you think about those great experiences you've had during summer vacations. In 2012 a group of friends were discussing the great times they've had at different beach spots during family summer vacations. There is the Jersey shore and all those familiar great times; but other special memories like the beauty and laid back lifestyle of a New England vacation kept coming up'¦ especially enjoying those mouthwatering lobster rolls. This group of friends wanted to recreate and share those good times, especially the food. A few years later that dream became a reality when our first store opened in Berwyn, PA. Quincy's was excited to be on the Maine Line in 2013 and is just as excited in 2015 for the opening of a second location in Cape May, NJ. Quincy's'¦bringing a little taste of New England to PA and NJ.